Abraham moved around a lot and led a pretty nomadic lifestyle. To bring us up to date with today's lesson I have compiled a brief chronology of Abraham's travels. I do believe there is much to be learned from a deeper study of the geography of these stories but we will not have time to go into too much detail this week. 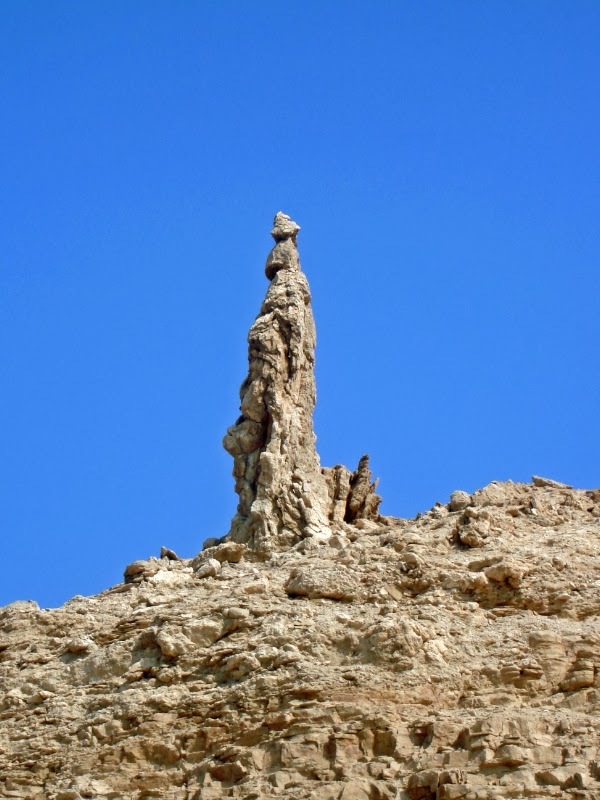 Nevertheless, this short chronology should help us to get a better idea of where Abraham has been and what he has been doing, up until the point when we reconnect with him in this week's lesson. Abraham's wife Sarai, his nephew Lot (Haran's son) and his wife, and Abraham's father follow him. Abraham's father returns to his idol worship and eventually dies in Haran, 205 yrs old. 3. 62/75 yrs old - moves to the land of Canaan (promised to be "an everlasting possession" to his seed). There appears to be some discrepancy between Genesis and the Book of Abraham account as to Abraham's age when he left Haran. Lived in tents, built an altar in Jershon to pray for his family in the famine. 4. Moved to Shechem (Sechem) in the plains of Moreh. Built an altar unto the Lord. "Unto thy seed will I give this land". Shechem becomes a very significant place to the children of Israel. It is here that Jacob also returns to settle and digs a well. Here Joseph goes to find his brothers and just beyond here he is sold into slavery. Is it any wonder that his request before he dies in Egypt many years later is to be buried at Shechem. It is here too that Joshua gathers the returning tribes and recommits them to the covenants of the Lord in their promised land. The same promises and promised land as Abraham received in Shechem generations before. And here that Joshua buries the bones of the prophet Joseph. 5. Moved to mountain between Bethel (House of God) and Hai (Heap of Ruins). Built another altar unto the Lord. Pharoah gives Sarai back and gives Abraham more wealth and asks him to leave Egypt. Made offerings at the altar and called upon the Lord again. At this point Abraham is no older than 86 yrs old. Firstly, let's understand the relationship between Lot and Abraham. Abraham is Lot's uncle (Lot's father was Abraham's brother Haran, who died in Ur). Lot has followed with Abraham from Ur to Haran onto Canaan and down into Egypt and back again into Canaan. By the time Lot is introduced to the story, he is already married. They have probably journeyed and lived together at least 20 years. They are close and Lot has greatly benefited from being in Abraham's presence. v.2 and v.5 Abraham is rich in cattle, silver and gold. Lot has flocks and herds and tents. Both have done well for themselves although you feel that Lot's wealth is likely somewhat as a result of his association with Abraham. v.6-7 What was the initial problem? What then highlighted the problem? What could potentially make this problem very serious? The initial problem was that they had been blessed with so much that the area they were living could no longer support all of their herds and all of their people. This was highlighted when the herdmen of Abraham and the herdmen of Lot had a "strife" between them. This might not seem like a big deal initially but the seriousness is found in the final sentence of verse 7: "and the Canaanite and the Perizzite dwelled then in the land". If they do not find a solution to this internal strife, it will invite strife from other groups who occupied the land and who would desire their cattle and herds and land. It was very important that this issue is solved quickly before they paint a big target on their backs. v.8-12 Who seems to be the proactive party in trying to resolve this? What does this suggest about Abraham? What is Abraham's solution? As patriarch of the family (according to custom and tradition), and with the promises of the Lord established with him, Abraham has every right to pick where he chooses to settle, first. Instead he offers the first pick to Lot. What can we learn from Abraham's approach? Notice both lifted up their eyes to see but one had the guidance of the Lord and the other didn't. Why do you think Lot, who was a righteous man, did not have spiritual sight in this instance? What sins of omission deprive us of spiritual sight today? So Lot has pitched his tent towards Sodom (compare this to those that pitched their tents during King Benjamin's temple discourse in Mosiah 2:6), which seems to suggest that he had dealings in some part with the people of the city, maybe for trade. Certainly he looked toward the city with some positivity, maybe as some benefit to him. But this inability to fully separate from the wickedness of the world ends up impacting Lot and his family in devastating fashion. Notice the difference between Genesis 13:12 and Genesis 14:12. For whatever logical or logistical reason, Lot is no longer on the edges of wickedness, he is living in it. How do you think this impacts him, his family, and especially his children? v.14 Abraham could have done nothing and said it was Lot's own fault. Considering he is going to have to go up against 4 powerful kings and could be about to make some powerful enemies, you wouldn't blame him for not helping Lot. But he does help. Abraham's swift action is likely what saved his nephew. Now consider this little bit of information "he armed his trained servants, born in his own house". The bible is full of little comments like that, they seem insignificant at first. But I am of the school of thought that believes scripture is the word of God (as far as it has been correctly translated) and each detail is in there for a reason. So when I read that Abraham armed his trained servants and that they were born in his own house it makes me ask why the Lord wanted me to know that detail. I'm not sure the answer in this instance but wonder if it might be that we should learn the great power and strength that can come from being untouched by the world. Lot, who chose to be part of that world is carried away captive as a result of his association with Sodom. But Abraham's trained servants who are unpolluted, untouched by anything other than what Abraham has taught them are strong enough not only to resist but defeat the pillaging kings and rescue Lot. They were brought up in righteousness, in Abraham's house from birth. Lot obviously found it difficult to live in the world and not be touched by it. Yet Abraham managed it. As our world becomes increasingly more wicked how do we live in the world without being touched by it as Lot was? Can we? Can we live as Abraham lived? If we liken Abraham to Christ and Lot to us, what basic truth does this story teach us? After this rescue Abraham is approached by two kings. What happens next tells you everything you need to know about Abraham and the source of his confidence and strength. Compare Genesis 14:17, 21-24 with Genesis 14:18-20. Why is Abraham not taking any of the victors spoils? If he is not taking any, why does he insist that those local tribe leaders who helped him have their spoils? In giving tithes what do you think Abraham is acknowledging? It seems to me that Abraham was not interested in wealth, he had lots of it but he obviously was not interested in gathering it. He did not have a love for it. v. 22-23 Accepting the spoils of war (which were likely originally stolen from Sodom and the other cities looted) would put Abraham in debt to the King of Sodom, who represents the wicked world. Abraham makes it clear that he does not want any association with the King of Sodom or therefore symbolically, the wickedness of the world or the leader of this wicked world, Satan. However, Abraham does not force his beliefs on others and thus insists that the other tribal leaders get their spoils. In giving his tithes to Melchizedek, Abraham is, in essence, offering thanks to the Lord. He is showing recognition that this victory was not his but the Lord's. Melchizedek (literally translated "king of righteousness") was the king of Salem (later called Jerusalem) and he was the officiating great high priest of the day and therefore both the representative and symbol of Christ. Thus the tithes figuratively become the spoils of victory and Abraham gives the spoils to the truly victorious King of Kings via Melchizedek. Many people suggest that much of the bible stories in the Old Testament are more parabolic than biographical. Job is a prime example of an Old Testament character that many say did not really live but whose story serves merely as a parable. I am more of the opinion that most of these characters did live AND that their lives served as parables to us. One such story is the story of the city of Sodom and Lot, it's most famous citizen. As you study it you will find a story rich in drama but also in context and meaning to us today. For that reason I have titled this section of scripture study, the Parable of Sodom and Lot. v.1-2 When Lot first made his move away from Abraham he "pitched his tent toward Sodom". When we last saw him we are told that he "dwelt in Sodom" and now we are told he sat "in the gate of Sodom". In ancient times to suggest someone "sat in the gate of the city" was akin to indicating that they held a civic position of authority. Lot has become firmly entrenched in Sodom and yet Peter tells us that Lot was a righteous man (cf 2 Peter 2:7-8). Peter's commentary suggests that Lot had to listen to unlawful deeds every day and they "vexed his righteous soul". This would lend credence to the idea that Lot sat in the gate of the city as a judge of Sodom. The obvious contrast in Lot is that he himself is righteous and yet he seems drawn to the wicked city. What do you think attracted Lot to Sodom? Of course for all Lot's tolerance of this wicked city, things were about to change very quickly. Three angelic visitors are sent to rescue Lot from Sodom that night. Based on the Joseph Smith Translation of Genesis 18 and 19 we learn that these three angels were holy men (see footnote a. Genesis 18:22; 19:1,12). Another sign of Lot's righteousness is that he recognizes these holy messengers, he warns them of the city's wickedness and hurries them into the protection of his home where he cleans and feeds them and protects them from a lusting and angry mob. When it is obvious to the Lord's messengers that Lot is truly converted, they step forward and take over, striking the mob with blindness (as they always could have) and start the process of evacuating Lot and his family from the city that is about to be destroyed because of its wickedness. What sins was Sodom guilty of? (cf Ezekiel 16:49-50) How do these sins compare to the sins of the world today? v.12 is a great opportunity for Lot to save anyone and everyone he can. I have often thought of this as one of the great missionary scriptures. "For it becometh every man that hath been warned to warn his neighbour". Lot is being asked for referrals! Bring them out of this place! Gather them to Zion! Why do you think they did not listen to Lot or take him seriously in spiritual matters? v.15 it is now the next morning and no one has evacuated. The messengers tell Lot to hurry up and take his wife and two daughters still at home, and leave the city immediately. Why? "lest thou be consumed in the iniquity of the city". v.16 why did Lot "linger"? We know he is righteous. We know he believes the warnings. Why does he linger? How much effort have we made in warning our families and friends, our loved ones? When the time comes will we feel responsible for not having warned them enough? The holy messengers have to drag Lot and his wife and two daughters away; "the Lord being merciful unto him". They are therefore separated from the wicked, being left outside the city. Notice in contrast Abraham had always kept himself separate from the wicked. v.17 having separated Lot and his family the holy messengers give them four final instructions before leaving them. Sodom represents the world and Lot represents us. We live in a world that is wicked. And we are told that at some point there will be a separation - the wheat from the tares; the righteous from the wicked. Before that happens though we are told that we must warn others (see v.12). Some family or friends will accept the warnings, others wont. Some may even think you are a little crazy. (see v.14). So the message this week to all that are "righteous" (have accepted the Lord and his gospel in their lives) is to remember that your are fighting for your eternal life. If you go back to your former ways or the ways of the world, if you even walk on the edge, sit on the fence, or peer over the city walls you will be consumed and destroyed with the wicked. The only way to guarantee survival is to escape from it all and become worthy of and partake in the saving ordinances and covenants of the temple. Therein lies eternal life. v.18-20 What? Lot didn't want to go to the mountain? He didn't go? He delayed it again? v.21-22 The Lord in his patience and mercy gives Lot time and allows him to stop instead in a smaller city that he promises not to destroy immediately. Lot understood he needed to escape. Lot got out of the wicked world but he is still not prepared to go to the temple. Instead he asks for more time. The Lord is merciful and gives Lot more time. v.27-28 Meanwhile where is Abraham? In the place where he stood before the Lord and where he can also see all the cities of the plain. It can be only one place. Abraham is in the mountain. Of course we would not expect anything less of Abraham. But it has more significance. "It came to pass that when God destroyed the cities of the plain, that God remembered Abraham and sent Lot out of the midst of the overthrow." Why did God set his hand to rescuing Lot? He remembered Abraham. On the face of it that seems to be a bit illogical. Lot was saved because Abraham was righteous and asked for Lot to be saved? Surely we cant rely on someone else to get us to heaven and partake of eternal life? Well in a way we can (cf Alma 10:22-23 the prayers of the righteous) but in a way, ultimately, no we cant...unless it is the Saviour. And so the parable extends with Abraham is a type/symbol of both 1. our premortal Father in Heaven and 2. the Saviour, Jesus Christ, who was the only one to keep himself unspotted from this world. As our Father in Heaven, he leads Lot (us) and guides Lot (us). While Lot is with him he protects Lot (us) and blesses Lot (us). When it comes time to separate from him and come to this mortal fallen world (see Genesis 13:10 "even as the garden of the Lord" -the plains where Lot first pitches his tent are compared to the Garden of Eden which Adam and Eve leave to enter the dark and dreary world) We are instructed to live in the world but not be of it. We must work to be an influence on the world rather than allow the world to influence us. At some point holy messengers of God will give us a chance to set ourselves apart from the world, to be baptized and converted. It is not an easy process. We may lose loved ones on the way. We may take longer than is ideal but the ultimate goal is to gather to the temple and partake of the saving ordinances and covenants of the temple. And God in his mercy has provided a Saviour to plead on our behalf, to atone for our shortcomings as long as we never return to the wicked ways of the world. As if this was not enough consider the meaning of their names. Abraham is Father of a Multitude. Lot is a Covering. It would seem Lot's life was meant not only as a symbol of us but also as a reminder of the great covering sacrifice and Atonement that is necessary to our salvation. We are instructed to gather to the temple. The temples are our refuge from destruction and our sanctuary of peace. But the Lord is aware that we are imperfect and is aware how slow we are to listen and how often we linger in error's gloomy way. He is merciful. He has provided a Saviour who pleads for us and whose sacrifice covers our sins of commission and our sins of omission. But we must never look back. Remember Lot and Remember Lot's wife. Emily, I am working on that. I am hoping to add 2 or 3 lessons over the next week or two so that I am finally ahead of the curve, so to speak. I'm hoping that will allow you and others plenty of time to look up the lessons before the lessons are taught on Sunday. Thank you for your kind words. I am really glad that people are enjoying the lessons. I am learning a lot writing the lessons on these blogs so it is a win-win. Keep the suggestions coming! all these lessons are great! but where is Lesson 12 & 13?